1. The first (and only) identification of a specific, scientifically well-established Physical Correlate of Consciousness; indeed of the so-called Pure Consciousness itself. Mainstream Western philosophy clings to the baseless dogma of 'Intentionality' [based on Brentano's confusing use of the medieval Scholastic notion of 'Intentionality'] which imagines that all consciousness is 'directed toward an object' and denies the possibility of Pure (nondual, objectless) Consciousness. But the Medical distinction between the RAS Arousal component and the Content of Consciousness (see below) already indicates the dualistic composition of normal consciousness (with its subject/object superimposition as asserted by Vedanta). Robert Forman points out the fact that, were Consciousness not distinguishable from its content, we could not even conceive the thesis of intentionality. As Sartre said, ‘intentionality’ is the notion that we are confronted with a concrete presence which is not-Consciousness. Given the overwhelming evidence supporting the RAS-brainwaves as the direct physical correlate (i.e. the physical process directly correlated with the phenomenon) of the Inner Light of Pure Consciousness (see Evidence page), this epoch-making discovery undermines the Physicalist Ontology of modern Science. Cit (Pure Consciousness), Atman, The Godhead, Buddha Nature, Holy Spirit, al Haqq (The Reality), The Archetypal Light, The Uncreated Light, The Eternal Flame, The Divine Spark, Prana (The Life Energy), The Philosophers’ Gold, Sofia (The Cosmic Light of Wisdom), The Inner Light of Conscience, The Inner Light of Christ, The Christ, The Christ Consciousness, The Fount of All Wisdom, Prajna (Luminous Wisdom-Consciousness), The Holy Grail, The Elixir of Life, The Fountain of the 'Water of Life' (aqua vitae), The Fountain of Youth, The Clear Light of Death, The Near-Death Experience Light, The Living God, The Stream of Consciousness, The Absolute or the Temporal Consciousness, The Light of Life, Saksin or the Witness Consciousness, The Hidden Observer, The Subliminal Self, The Heart or the Innermost Self, The Inner Man, The Twin of Mani, Nous Poietikos, The Philosophical Mercury (aqua permanens), The Light of Truth, the Universal Daemon (Spirit). As stated on page 1, this correlation undermines the Dualist religious myth of Theism! 3. Sutapas' work constitutes the first clear, science-based resolution of the central problem of Indian (and most Eastern) philosophies, the nature and significance of the Mystical Union (Moksa, Nirvana, Satori) in which the core individuated consciousness (ego stripped of all habitual attachments - the Vedantic anandamayakosa, Neoplatonic ochema) dissolves into the Inner Light following enlightened gnosis. 4. The first clear, established-science-based resolution of the seemingly intractable problem that has plagued modern Western philosophy, the paradox of the Ontological Status of Consciousness (usually referred to misleadingly as the Mind/Body Problem by Westerners who assume incorrectly that Consciousness is only present in egoic 'minds'). 5. The first clear, science-based explanation undermining the dogmatic Kantian belief assumed by mainstream Western philosophies that it is impossible for humans to attain a Third Mode of Knowledge or an Unmediated Direct Perception transcending sensory phenomena to apprehend Metaphysical (Noumenal) Reality-in-itself or to experience the Divine (the Uncreated) in this mortal life. 6. 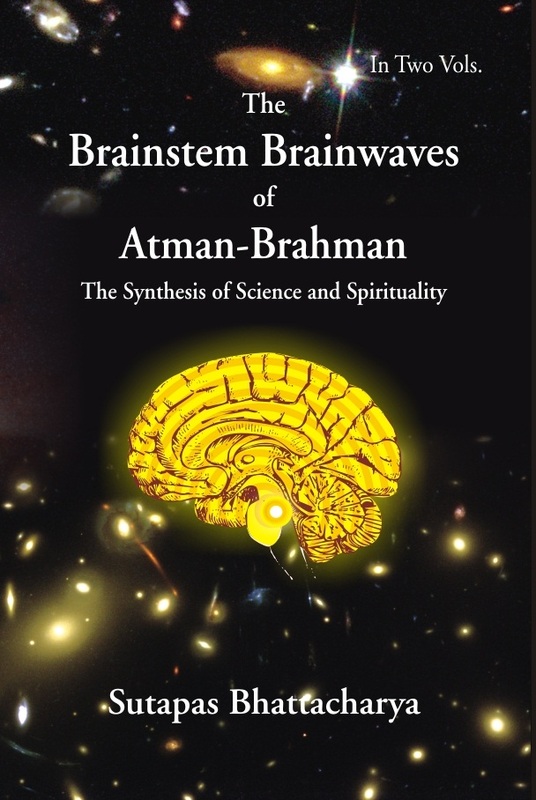 The first clear integration or synthesis of Natural Science with Spirituality/Mysticism. Most Westerners imagine that this is impossible given the dualistic dichotomies and self-created paradoxes of Western Physicalism and Theism. This work does not involve the mere pointing out of vague parallels between mystical experience and arcane notions from the New Physics far removed from everyday experience. Physicalist 'New Ager' Fritjof Capra's Tao of Physics omitted the fact that experiencing the One (Brahman, Tao) presupposes the existence of Awareness (Ultimate Reality is not the Energy that Taoism focuses on) and Capra's later books reduced Consciousness to Emergent Physicalist falsehoods (as also is the case with James Austin's Zen and the Brain and Buddhism-influenced anthropologist Charles Laughlin's claims to explain Consciousness in his 'Biogenetic Structuralism' ideas). 7. Sutapas' work in metaphysics is the first to establish the One True Ontology integrating Science, Spirituality, Mysticism, Eastern and Western Philosophies into one coherent whole based on the Primacy of Consciousness - demonstrating that so-called 'Matter' is a derivative product of human perceptual and conceptual abstraction of stable energetic forms (i.e. Matter is not Ultimate Reality but created continuously out of underlying wave phenomena; the so-called 'Wave Structure of Matter'). Although such 'Perennial Philosophy' or Sanatana Dharma (Eternal Truth or Eternal Order) is not new, Sutapas alone has taken such Universalism beyond the vague, ambiguous and misleading notions of other writers to establish clearly the One True Ontology. This includes the demonstration of the invalidity of alternative ontologies (an argument by elimination), Sutapas' identification of the physical correlate of Pure Consciousness (grounding his arguments in well-established scientific and phenomenological facts) and the metaphysical interpretation of Quantum Mechanics (and the New Physics in general) demonstrating that it points to a deeper Transcendental Ontology in which Matter is but localized spatiotemporal phenomena arising out of the deeper, nonlocal and holonomic Wave Structure of Matter. The latter, including the holonomic 'Dependent Co-Origination' of all phenomena (wherein each material 'particle' is created by the waves emanating from the manifestation of all other 'particle' phenomena - as in the work of my acquaintance the physicist Milo Wolff) even begins to account for the emergence of so-called Natural Laws and Physical Constants which Physics assumes without explanation - as well as accounting for the Universal Coherence which is presupposed in any such notion of 'Laws' applicable uniformly to the entire universe. As indicated in O/OM, this ontology can also accommodate Paranormal Psychic Phenomena precluded by Physics. 8. Sutapas' work is the first in history to truly integrate Eastern and Western philosophies making a mockery of mainstream academic mythologies of Relativism, Social-Constructivism and of Incommensurability of ideas from different cultures*. The Divine Light is central not only to Hinduism and Buddhism, but also to Platonism, Hermeticism, Gnosticism, Christianity*, NeoPlatonism and Islamic Sufism amongst others. Indeed the true meaning of the word philosophia as in Plato (the mystical basis of which was suppressed by White Supremacist Western Classics) was Love of (the Light of) Divine Wisdom. Once this common foundation is established, it is easy to show the correspondence between Plotinus' Nous [the first emanation of the 'ineffable' One and the Upanishadic Akasa [the first created 'element'] and other parallel notions between traditions*. By correlating these notions with scientific concepts one establishes a deeper, common core Universal Metaphysics. The philosophies of Husserl, James, Heidegger, Existentialists, Jung, Whitehead and Transpersonal Psychologists are derived from this same phenomenological basis. The false interpretations and dismissals of Consciousness, Mysticism and Transcendence by Materialism-Physicalism and other philosophies and the false status of the Judaic deity Yahweh (which does not represent the Inner Light) are exposed by critical analysis, examination of established facts and deconstructing philosophical sophistry such as exposing the tacit appeals to Magic made by mainstream scientists who expound 'Emergent Materialist' mumbo jumbo to 'explain away' Consciousness. *See also Lakoff and Johnson's dismissal of 'Postmodern' Relativist myths based on Cognitive Science/Neurophysiology demonstrating the underlying universality of human conceptual systems regardless of cultural conditioning on Western Academic Racism page. *20th Century Jesuit Bernard Lonergan wanted to shift Christian Theology away from Speculative Metaphysics to a basis in the Dynamics of Consciousness starting with Divine Light and leading to the Whole Universe (i.e. Cosmic Consciousness). This would result in grounding theological notions such as sanctifying Grace on actual experience. Lonergan's arguments were copying tacitly the ancient Vedantic approach which first reinterpreted theological myths in terms of a rational philosophy based on the Transformations of Consciousness 3,000 years before. Lonergan's tacit copying of Vedanta demonstrates that open-minded Christian theologians accept the validity of Vedantic philosophy as universal. *Indeed, F.G. Bazan argued that Parmenides' Nous [Being - which is supposedly equivalent to 'Thought'] actually refers to Being as Conscious Awareness. 9. Sutapas' new work (BBAB) gives by far the clearest explanation of what Transcendence of Perceptual Space and Time actually means. * Indeed, this is made possible by the fact that the Flow of the Inner Light of Pure Consciousness (a.k.a. Husserl's Absolute Consciousness or Time Stream; James's Stream of Thought or 'Stream of Consciousness') constitutes the 'Time Space Matrix of Perception' corresponding to Immanuel Kant's abstract notion of Time, Space (and Causation) being a priori or innate concepts in human understanding. 10. The first clear explanations in clear, scientifically valid and epistemologically consistent, arguments how it is possible for Phenomenological introspective investigation to lead to profound Ontological and Cosmological insights and disclosures. No other philosopher even attempts to explain this seeming paradox. Carl Jung claimed that Indian Philosophy had over-reached itself in making grand cosmological claims based on exploration of psychic processes. Indian thought was, claimed Jung, “Pre-Kantian”*(i.e. ignorant of the epistemological limits to human knowledge – see also Point 5). Most people, being unfamiliar with mystical states, would be highly sceptical about such claims and correctly so unless one can give a clear epistemological explanation as to how such profound conclusions are valid – as given in the final section of Chapter 9 of BBAB. ​*In fact Ch.10 of BBAB shows that, contra Eurocentric History of Science scholars' presentations, the Western successes in Natural Sciences were actually based on metaphysical immaturity (anthropomorphic Christian myths etc.) and 21st Century Postmodern Maths, Physics, Cosmology and Cognitive Science are more in tune with Indian metaphysics than with Greek metaphysics. 11. Sutapas' work is the first to give clear scientific-knowledge-based interpretations of perennial spiritual wisdom which is generally expressed by others in arcane or mythological language. The RAS brainwave correlate of Pure Consciousness explains the perennial identification of the Pure Consciousness (or Inner Light/Spirit within) with Life Energy (Prana - see evidence for RAS correlation page for parallels from other traditions) leading to myths of the Elixir of Life or the Water of Life. It also explains why the Inner Light of Conscience is the Second Self or Witness that knows all of our thoughts. It accounts for perennial myths describing the Godhead (the wellspring of Divinity) as like a Fountain or a Stream as in the Fount of all Wisdom, Fount of Youth and the Fountain of the Water of Life. Sutapas' work also explains the mystical meanings of myths of the Spiritual Baptism (in this River or Stream), the Virgin Birth, the Son of God, Rebirth or Resurrection in what appears to be a non-earthly world. These mystical explanations based on dissolution and reconstitution of the ego in more subtilized, purified forms (stripped of habitual attachments) account for myths such as the need to be 'Born Again' in order to See the Kingdom of God, why we stand Naked before God and why the Moment-of-Death is said to be the supreme opportunity for Enlightenment (or supposed 'salvation').